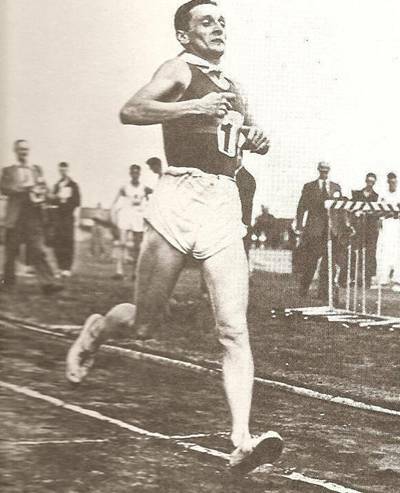 The 1954 version of the British Empire Games was the first to be titled the ‘British Empire and Commonwealth Games’ and contained two of the most remembered events in the history of the sport – Roger Bannister speeding past on the outside hile Landy looked over the ‘wrong’ shoulder to see where he was, and, for Scots especially Joe McGhee winning what has unjustly been called the ‘jim Peters’ marathon. The remainder of the events have been largely forgotten although it was a very good Games. The games were attended by 24 nations and 662 competitors. The nine sports on the programme were athletics, aquatics, boxing, cycling, lawn bowls, rowing, weight-lifting and wrestling. 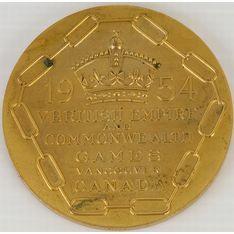 There were only two Scots who won medals at these Games and they were in the events where Scotland has traditionally done well – Joe McGhee in the marathon (gold) and Ewan Douglas in the Hammer (bronze) We could look at the Scots performances within the event groups in which they were competing, starting with the sprints. There were no Scottish sprinters in either the men’s 100, 220 or 440 yards races. On the women’s side Pat Devine ran in the 100 yards where she was fifth in the first heat in 11.1 seconds, and 220 yards where she was third in the second heat in 25.7 seconds. We had no competitors in either of the hurdles races or teams in the relays. In the absence of any races above 220 for the women, and no men selected for the Mile, the men’s 880 yards had the only Scots middle distance competitor, James V Paterson who was sixth in the final in 1:52.7 seconds. Paterson was superb athlete with a very wide range of distances at which he was very highly rated who had emigrated to C anada shortly before the Games. The only Scot in the three miles was Ian Binnie who had performed below expectations in the six miles was nevertheless seventh in the good time of 13:59.6. He had been one position higher in the six miles where he was sixth in 30:15.2. In the marathon of course, Joe McGhee won in 2:39:36. In the field events, there were two men in the hammer throw with Ewan Douglas third with 173′ 3″ and Alex Valentine sixth with 169′ 0″. Douglas was also entered in the discus where he did not compete. That was it as far as the throws were concerned with no one entered in either men’s or women’s discus or javelin. No men in pole vault, high jump,long jump or triple jump, and only one woman entered at all in the jumps – Pat Devine in the long jump where she did not take part. The team has been laid out as above to show how poor the allocation of Games places to athletics actually was – there were sprinters, middle and long distance runners, and certainly field events exponents who could have represented the country with honour had they been given the chance. One sprinter, one middle distance man, two long distance men and two throwers was not a fair reflection of the sport’s health at the time. How were the results received back home? The link to Joe McGhee above takes you via a further link to the voluminous correspondence in the pages of ‘The Scots Athlete’ and the tale has been well recounted elsewhere so I will go straight to Emmet Farrell’s comments on some of the other performances. “Dr Douglas got a third place in the Hammer and A Valentine was placed sixth, but their respective throws of 173′ 3″ and 169′ 1/2” were well behind their best. Ian Binnie ran poorly in the six miles but despite finishing only sixth in the three miles could not be faulted here as his time of 13 min 59.6 secs was one of his best, and only the tremendously high standard relegated him to a minor position. 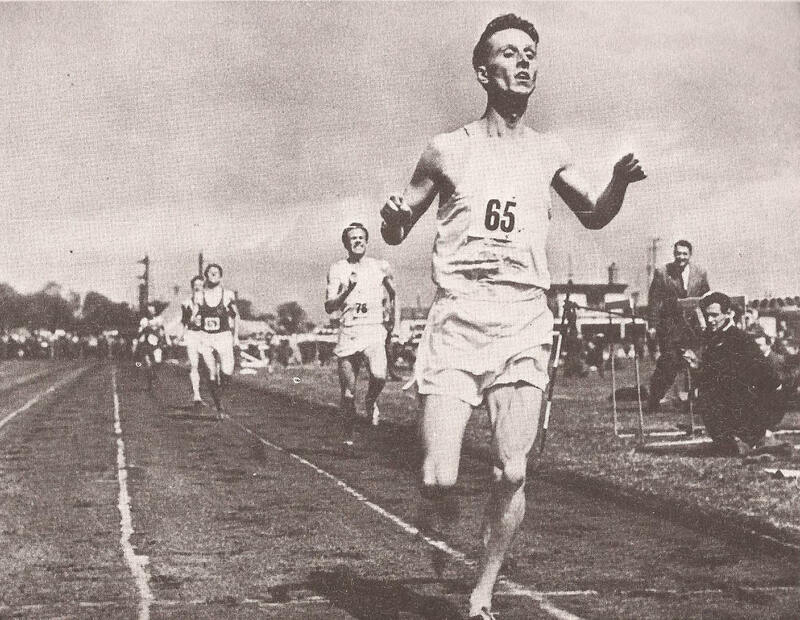 This was the second consecutive Games where the Press commented on the fact that the fastest times ever recorded by Scotsmen could not be regarded as Scots records simply because the runner was performing outside the country. Given that the Olympic, European and Empire Games wera virtually always held out of Scotland, and that these were meetings in which best performances were drawn out of the competitors under intense scrutiny, then it was a rather harsh rule – but it continued for many years hereafter. That was about the extent of the coverage on a good day – Paterson was not mentioned in his final (either report or even results) and Binnie was mentioned in the result of the three miles but not at all in the report. By the standards of the coverage, the comments on the Hammer throw were rather prolix! “ECK Douglas and A Valentine, the two Scots who reached the final of the hammer throw, finished third and sixth respectively on Saturday. Douglas reached 173′ 3″ and Valentine 169′ 1/2”. There was extensive coverage of the marathon – 40 lines about Peters, thre and a half about McGhee. The Games had been successful witrh drama aplenty – but also with many very good performances from top class athletes. The Scottish team had been a small one but with the next Games being in Wales, the team would be assuredly much bigger.